What Does the Supreme Court say about Threats of a Drug Dog Search? Traffic cops and sometimes other law enforcement try to scare citizens by threatening to call in a dog, if they do not consent to a search. 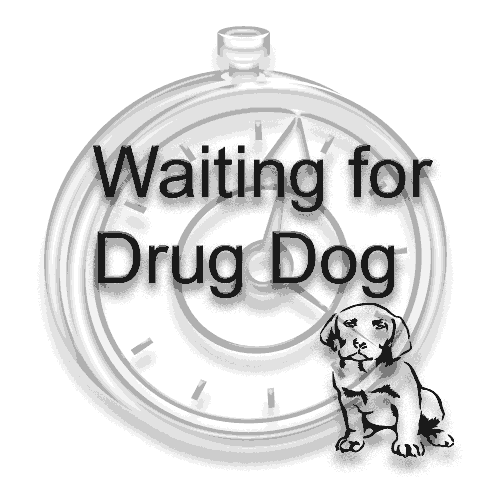 Sometimes a defense to drug crimes and seizures of property can be based upon continued detention by police, who are waiting for the drug dog to show up. 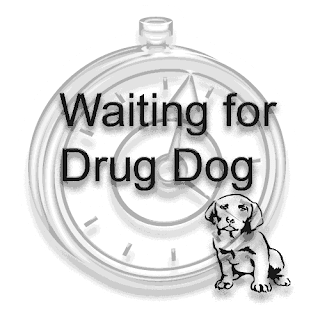 "Absent reasonable suspicion, police extension of a traffic stop in order to conduct a dog sniff violates the Constitution’s shield against unreasonable seizures." Rodriguez v US , 575 U. S. ____ (2015). What happens when the Cop Threatens to Call a Drug Dog Handler? Here is a typical pattern used by the police. The traffic cop will ask for permission for the drug dog to sniff around the vehicle. If the driver says "no" the cop may order the driver to "turn off the ignition, exit the vehicle, and stand in front of the patrol car to wait for the second officer." This is exactly what happened in the Rodriguez case. Rodriguez v US , 575 U. S. ____ (2015). Even though there was only a seven or eight minute delay, the Court found "The question whether reasonable suspicion of criminal activity justified detaining Rodriguez beyond completion of the traffic infraction investigation" had not been addressed. So the rule now requires, if the police are to detain a driver after the purpose of the traffic stop has been completed, there must be "reasonable suspicion to continue [the driver’s] detention after issuing the written warning." Once the traffic stop procedures are completed, courts should not allow "for a traffic stop 'prolonged beyond' the time in fact needed for the officer to complete his traffic-based inquiries . . . . The critical question is not whether the dog sniff occurs before or after the officer issues a ticket, but whether conducting the sniff adds time to the stop." Rodriguez v US , 575 U. S. ____ (2015).